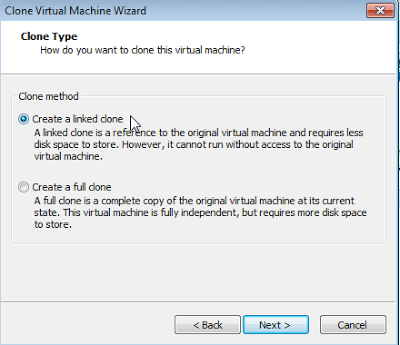 If you want to build a new virtual machine which will be same as another existing virtual machine in your drive, you can use clone feature in VMware so you don't have to build and configure a new machine manually from the beginning. These are the steps how to clone virtual machine in VMware 6.5. 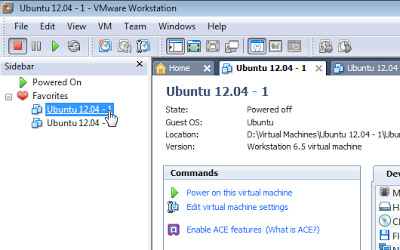 Run VMware. 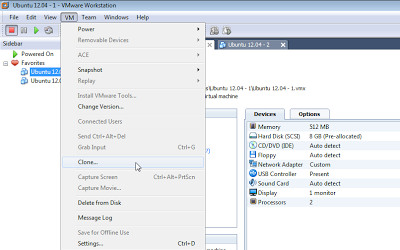 Choose the existing virtual machine in your computer which will be cloned. 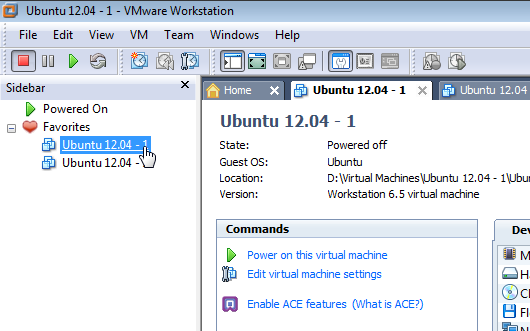 Go to VM menu. Choose clone. 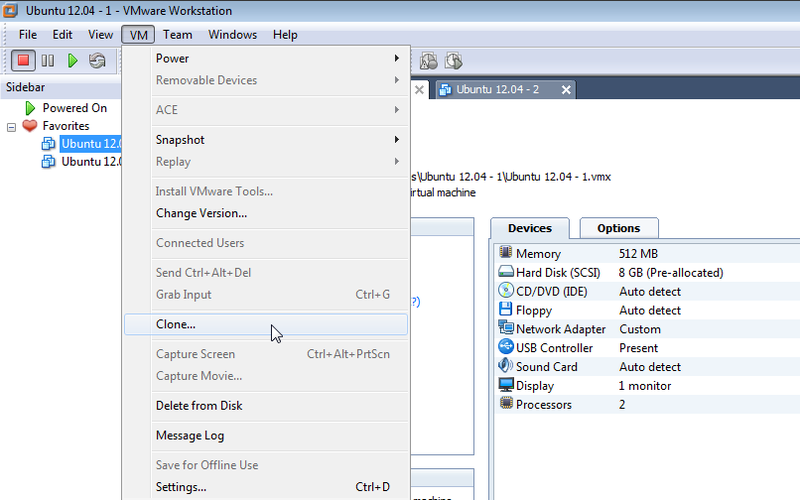 There are two options of cloning. First is linked clone. Second is independent clone. I think it's better if you choose the second type for better performance of virtual machine but it will take more disk spaces. 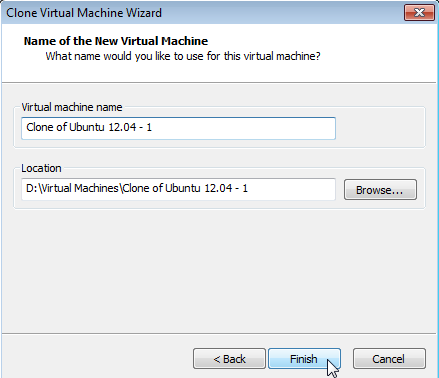 Name your new virtual machine. Wait for the cloning process. I hope it will be usefull. BTW, I still use version 6.5 because I think it's more stable than newest version (9.0) . I had installed the newest version before, but it wasn't able to run bridge mode for network adapter so I downgrade the application. I had tried to make manual configuration for bridging in virtual network editor but still couldn't resolve the problem in version 9.0.